Dr. Rozario Slack’s passion for helping individuals come to understand what it means to love and be loved unconditionally and for children to grow up in the safety and security of a home with both mommy and daddy, has spurred him to reach out of singles, couples and parents of all walks of life with a message of encouragement and hope. Yes, making a commitment to remain married to the same person, “til’ death,” is a challenging goal, but a very worthy and attainable one. Knowing that people want to be loved, appreciated and accepted is one thing but understanding that many people simply do not have the skills to sustain these relationships long-term provides a backdrop for Dr. Slack's passion for helping people. 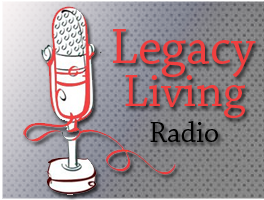 Through his weekly radio show (Legacy Living), curricula and presentations, Dr. Slack gives individuals the real life tools necessary to turn dreams of happy households into a reality. With a balance of wit and wisdom, Dr. Slack leads people down a learning path to help them discover and set in motion the powerful resources that lie within them. See Dr. Slack in action.